Have you already been training Krav Maga for a while or lots of years of Martial Arts experiences and now you are ready to undertake a responsible task and share your knowledge with others? We want YOU as an instructor then! The Krav Maga Assistant Course is the first step for your Krav Maga Instructor career. 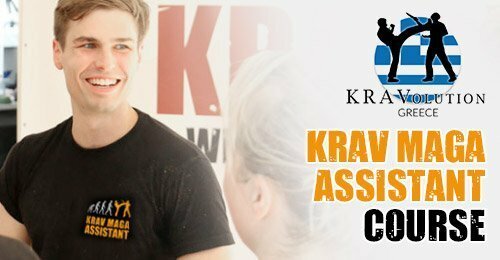 The course to become a KRAVolution Assistant is a compressed training for the civil sector and the first step for every ensuing Krav Maga instructor course, particularly the Civil Instructor Course! you receive a KRAVolution certificate about the successfully passed Assistant Instructor Course and a respective T-Shirt. Along the lines of earned, not given, we don´t provide you with the guarantee to pass and to get the KRAVolution Krav Maga Assistant certificate. It´s on you!